Do your trips to Louisiana begin and end in New Orleans? You probably go down for Mardi Gras or Jazz Fest, eat your way through the French Quarter, or wander through the Garden District. The rest of the state remains largely ignored. The Big Easy provides only a taste of Cajun country, though. To really immerse yourself, you need to head west to Lafayette. Louisiana was first settled by French colonists in the 17th century. Then the Acadian-Creoles arrived in the late 18th century, after being expelled from Eastern Canada by the British. Though French-speaking, their culture—from their music to their food to their folk beliefs—was very different from the original settlers. They founded Vermilionville in southwestern Louisiana in 1821. Though later renamed Lafayette, the city is still considered the center of Cajun culture. Though only two hours from New Orleans, Lafayette feels different, almost foreign. 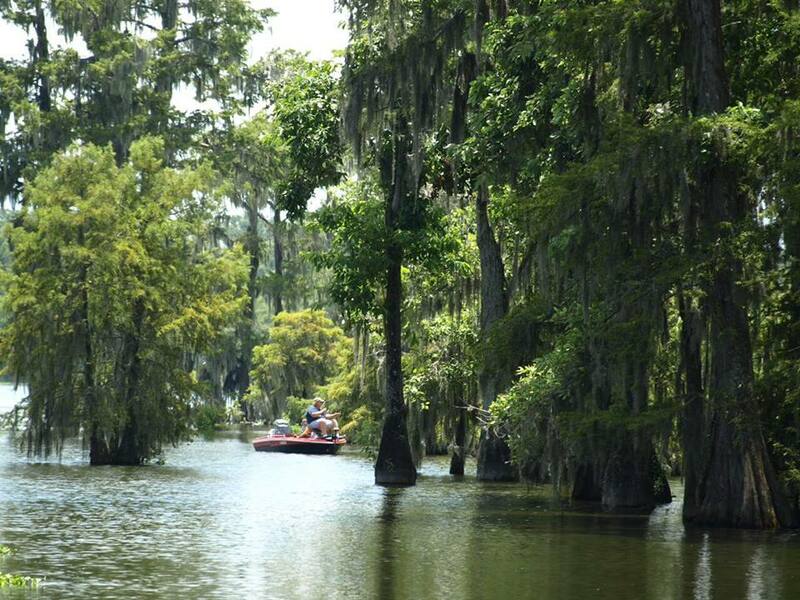 As you enter the West Gulf Coastal Plain, the air becomes even more humid, the cypress trees get bigger and droopier, and the swamps expand. Stop at Poupart Bakery for warm croissants and crawfish pistolettes. Then spend the day learning about the area’s history. The Alexandre Mouton House was the home of Louisiana’s first democratic governor. It now houses antiques and Mardi Gras costumes from the 19th century. The Acadian Cultural Center offers Cajun-boat bayou tours and a film about the Acadians’ forced migration from Canada. While Vermilionville is a living history museum with a reconstructed blacksmith shop, chapel, and general store. A swamp pop band is setting up as you head out. After your tours, you’re ready for food and music. Stop at Borden’s Ice Cream Shoppe, the company’s last shop in the country, for a “Davis Cone” dipped in chocolate and rolled in sprinkles. Or drive through Daiquiris Supreme for an alcoholic slushy drink; open-container laws are thoroughly disregarded here. Eat a huge Cajun meal—alligator, boudin balls, étouffée, and fried shrimp—at Prejean’s. Then dance off all that unhealthy food at the Blue Moon Saloon. The zydeco music combines blues, R&B, reggae, and even hip hop. The music, like the rest of Lafayette, feels both completely different and completely familiar all at the same time.